Calling all Snowbirds! Chase the Summer sun with a long-stay in Thailand this Winter. There's one thing you'll never need to worry about in Thailand: finding wonderful and fascinating new places to visit. Even if your current job description reads "Travelling around Thailand", and you've been doing it for years, you'll eventually come to realise that going everywhere, and seeing everything, in this amazingly diverse Kingdom is simply impossible. At some point, however, you realise that you're not simply ticking places off your list anymore! You're simply travelling from place to place, learning more and more, and enjoying it more each passing day. You are no longer a tourist. After your long journey, you now feel comfortable in Thailand, and appreciate the full character and charm of the Kingdom. Extended vacations are gaining popularity - let your vacation linger and give yourself the opportunity to explore an exotic culture at your own pace. Why freeze in Canada when you could be sunning yourself in stunning Thailand?! Phuket is one of Thailand's most popular and famous retirement destinations. With its beautiful beaches, vast range of activities, vibrant nightlife, stunning scenery and clear blue sea, the island is home to an enormous community of retired expats from virtually every corner of the globe. Trekking with beautiful elephants to a waterfall and gibbon project. Includes canoeing in mangroves and a jungle walk. 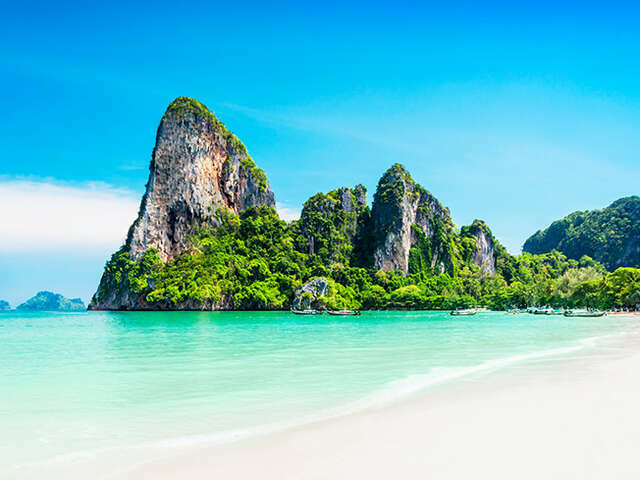 As well as relaxation on a beach, Phuket offers the chance to explore, by yacht, an array of idyllic beaches and islands surrounded by the turquoise waters of the Andaman Sea. Practice your swing against a backdrop of tropical hills and the spectacular scenery of the Andaman ocean. Phuket has become one of the leading golf destinations in Asia and boasts a number of first-rate golf courses. With its beautiful white sand beaches, lush vegetation, wide ranging activities and attractions, and world class golf courses, this magnificent resort has become a firm favourite for Thais and foreigners alike looking for an exciting weekend getaway or a second home in peaceful relaxing surroundings. Discover for yourself why Hua Hun is the retirement destination of choice for discerning Thai people. Relax in the al fresco restaurant and enjoy the spectacular views while sampling a variety of different wines and grapes. In Hua Hin there are two main venues to watch this full contact and graceful art; on Sundays and Thursdays at the Grand Sports Arena and on Tuesday and Fridays at Thai boxing Garden. Voted the best championship course in Thailand and one of the best in Asia-Pacific, the challenge and stunning scenery of this course cannot be overlooked. 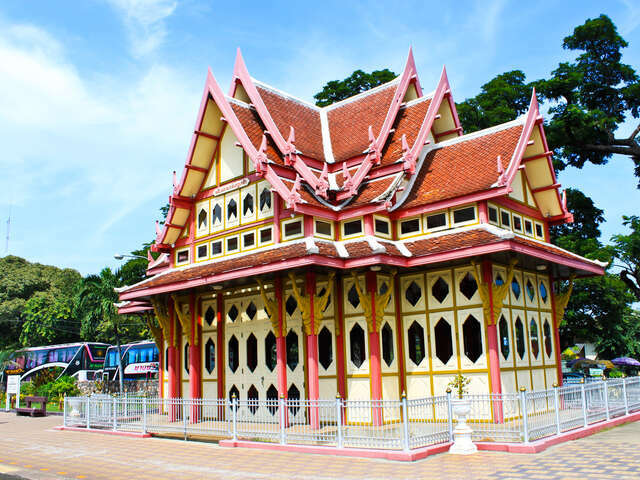 Chaing Mai is historically and culturally significant in Thailand and offers a sense of tradition. Although you will be close to the past, with museums and temples, there are also modern facilities, such as an international airport and hospitals. 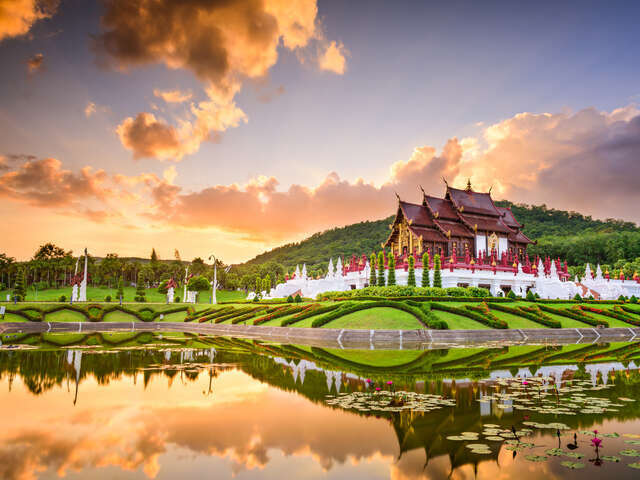 This is one of the most famous sites in Chiang Mai and no trip would be complete without a visit to this spectacular temple. For an experience of a lifetime, enjoy a bird's eye view of magnificent mountains, terraced rice fields, and the lush green river valley. With over 15 years of experience, teaching thousands of people from all over the world, The Chiang Mai Thai Cookery School was the first, and is still the leading, cookery school in Chiang Mai.